Do you want to spend a holiday or a few days away in the Netherlands? Do you want to bring your own horse? At the Van der Valk hotel Apeldoorn – de Cantharel you will find 12 luxury stables. With the Veluwe forests and nature reserve directly in our backyard you are assured of fantastic tours. Our horse hotel in Holland is fully equipped and offers Havens horse nutrition. Our stables have running water and secured arsenals. De Veluwe is perhaps the most versatile place for a trip. An ideal location for a beautiful ride on your own horse. During all four seasons you can enjoy nature in its pure form. The first rays of sunshine in spring, the purple heather in August and the beautiful forests in winter moods make this place fairy-tale-like all year round. 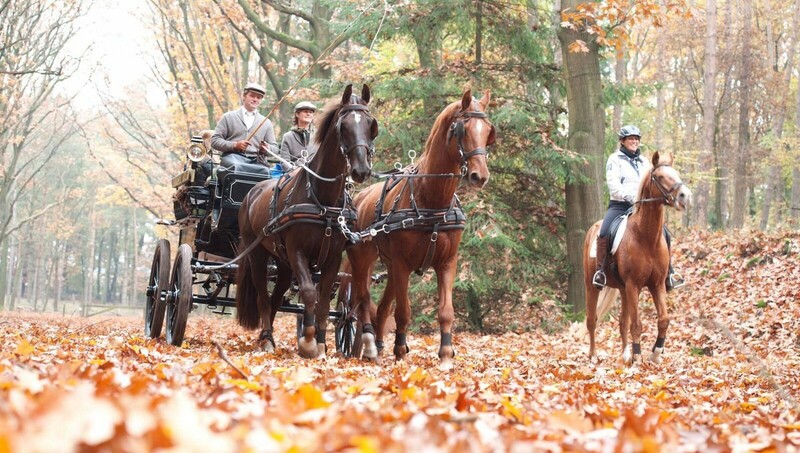 Are you interested in staying on the Veluwe with your horse? View the accommodation options at Van der Valk hotel Apeldoorn – De Cantharel.